As we head into the busier and warmer spring season, it's time to think about all of those great things we can do outside in the beautiful state of Wisconsin. Wherever your travels happen to take you, one thing you can count on is breathtaking scenery along the way. 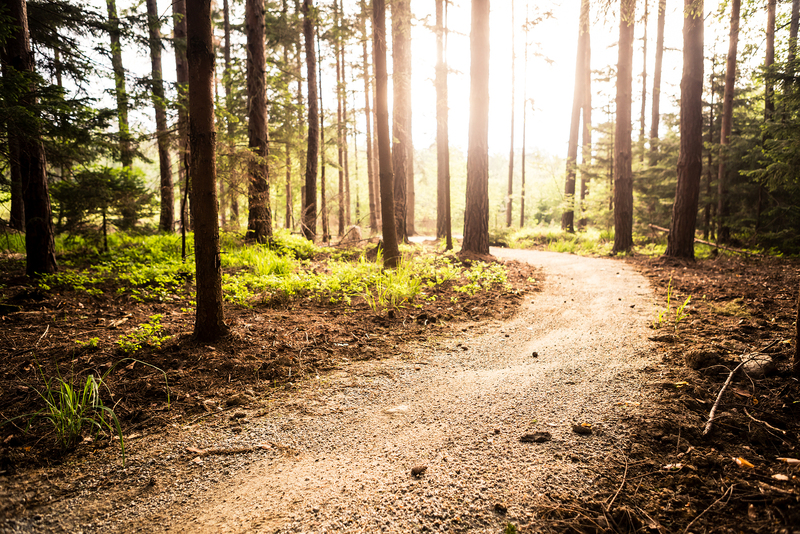 Wisconsin is home to over 2,500 miles of hiking trails, which include some of the better known statewide "rails to trails" pathways, a variety of state and local parks, and plenty of lesser known, but equally beautiful, hiking trails. These lesser known hikes are the ones we consider to be the hidden gems of the state, found in places where Wisconsin's true character is on display. Many of them also happen to be near at least one of our member Bed and Breakfasts! Search for your favorite Wisconsin Bed and Breakfast by region, then start planning your hiking adventures in Wisconsin today. For an amazing view of the Mississippi River, head to Buena Vista Park near Alma. This hiking trail is accessible, and offers a great view of the river year-round. It also happens to be a spectacular location for birding, especially if you're looking to spot a majestic bald eagle. Up in the Chequamegon-Nicolet National Forest in Northern Wisconsin, hikers will enjoy the Ed Lakes National Recreation Trail. This trail follows old railroads from the 1900's through the forested hillsides. Another popular Northwoods Trail is the Oxbo Trail near Fifield. The trail is located within the Flambeau River State Forest, and offers quintessential views of Wisconsin's unspoiled Northwoods territory. South of Milwaukee, you'll find Petrifying Springs Park in Kenosha. This park is exceptionally beautiful during peak fall foliage season. Just north of the Wisconsin Dells, you'll find a spectacularly underappreciated portion of Wisconsin's Driftless Area that is perfect for hiking; the Quincy bluff and Wetlands Natural Area. One of the more popular places here is Lone Rock, which features 100 ft. tall Cambrian sandstone cliffs, and a diverse array of plant and wildlife. Look in any direction from the top of Lone Rock, and you won't see any traces of human habitation. Instead, you'll experience the wild beauty of Wisconsin as it was meant to be seen. If you find yourself in the Madison area, there's a hidden gem right in the city that is the perfect respite from urban living, and a great place to spend the afternoon hiking. The arboretum on the University of Wisconsin-Madison campus is a beautiful section of restored prairie, forest and wetlands, and is definitely worth exploring. If you're looking to do a little urban hiking, then you can't miss the Hank Aaron State Trail in Milwaukee. This 12 mile path connects Milwaukee's lakefront to the city's west side, passing by some of the city's top attractions along the way. In the La Crosse area, discover 10 miles of hiking trails in the Hixon Forest. 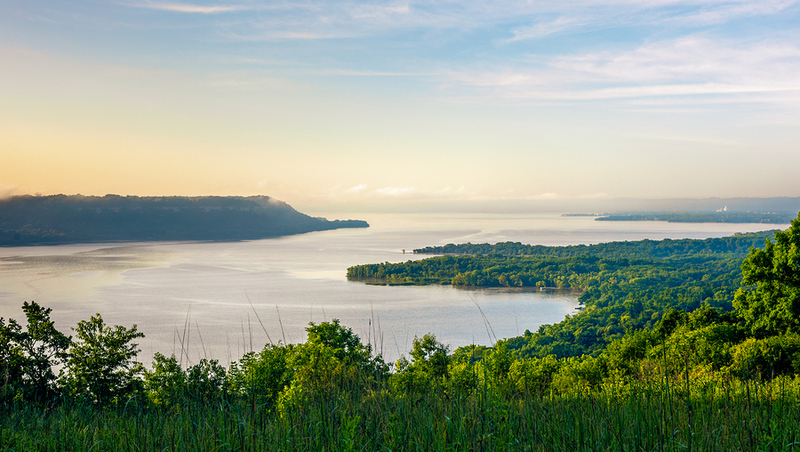 The trails are beautiful and also connect up to other city parks, such as Grandad Bluff Park, which boasts stunning views of the Mississippi river valley. After a tiring day on the trails, you'll be ready for the restful accommodations of a local Inn. Thankfully, the Wisconsin Bed and Breakfast Association has members all over Wisconsin, each of which have passed our inspection standards and are eager to supply you with exceptional hospitality and service. Our Inns range in style and ambiance. Whether you'd prefer to stay in one of Wisconin's cities or on a farmstead, vacation in a lakefront home or historic estate, you're certain to find a Bed and Breakfast that fits your needs pefectly. Better yet, our friendly and knowledgeable Innkeepers will offer plenty of insights and tips when it comes to making the most out of your stay at their Inn. Depending on where you want to go, you can browse through our diverse selection of Inns by region or city. We look forward to seeing you on the hiking trails around Wisconsin this spring and summer!